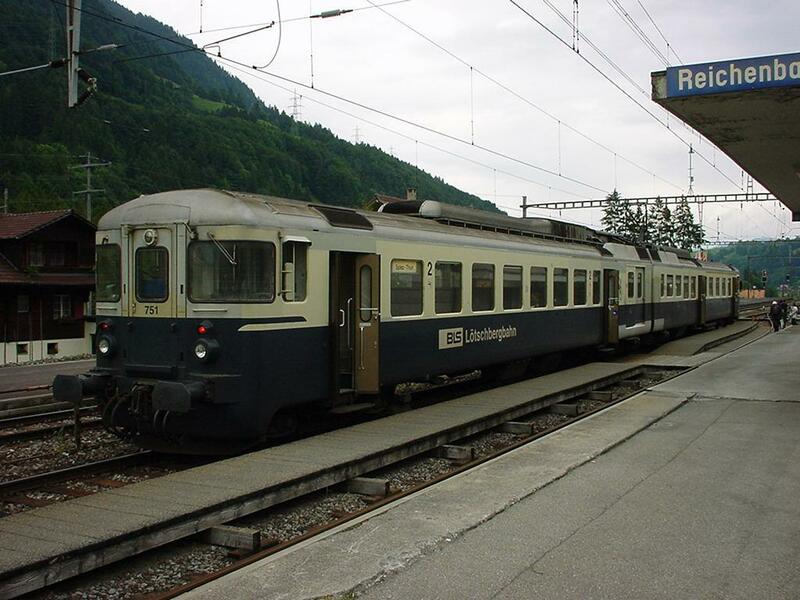 BLS, or as their full name is, Berner Alpenbahn Gesellschaft Bern-L�tschberg-Simplon, is one of the "big" rail companies of Switzerland. 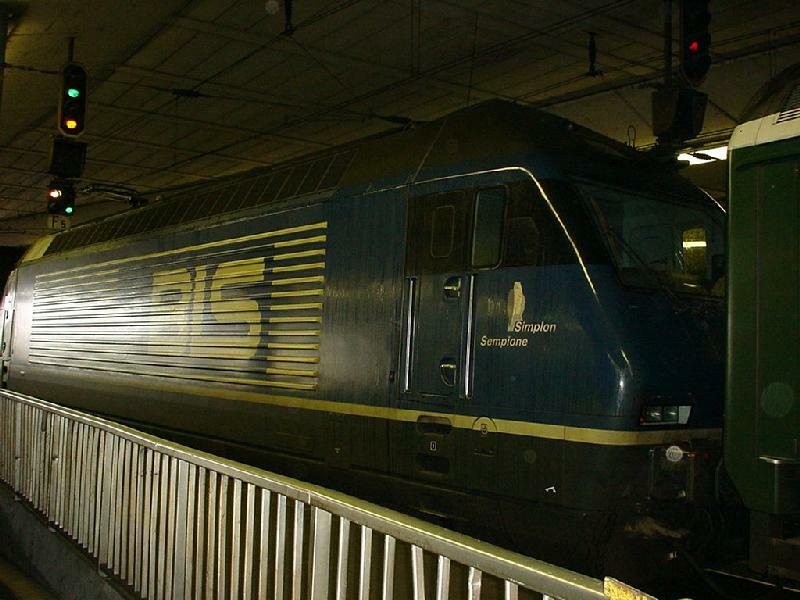 It is privately owned, but the state SBB has a minority stake in the company. 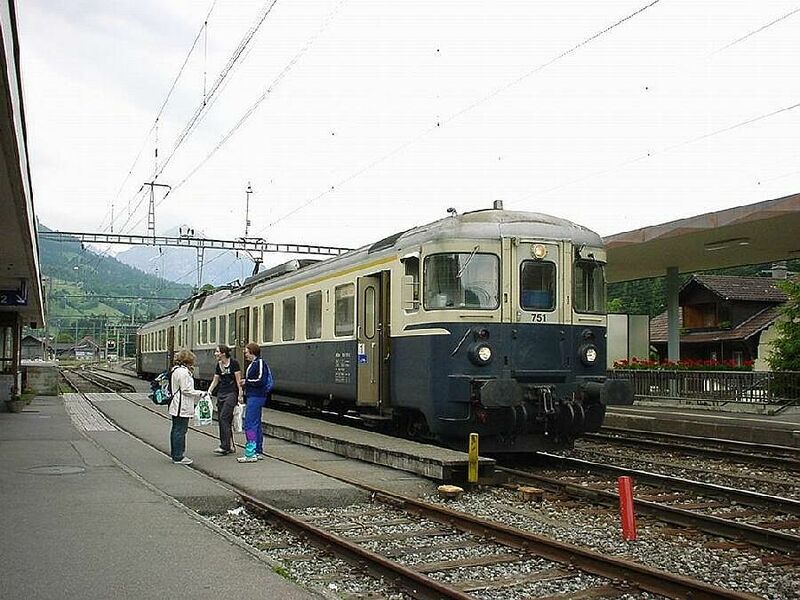 It operates trains on almost all normal gauge and normal electricity rail lines in the country, even visiting Germany close to Basel, but their "home ground" is the L�tschbergbahn route from Bern to Thun and Spiez close to Interlaken, up the valley to Kandersteg and then through the world famous L�tschberg line to Goppenstein, down to Visp and Brig in the next valley and further through the Simplonpass to Italy, Domodossola, where it connects to the Italian line to Milano. The L�tschberg line was opened in 1913 and it was a world sensation. 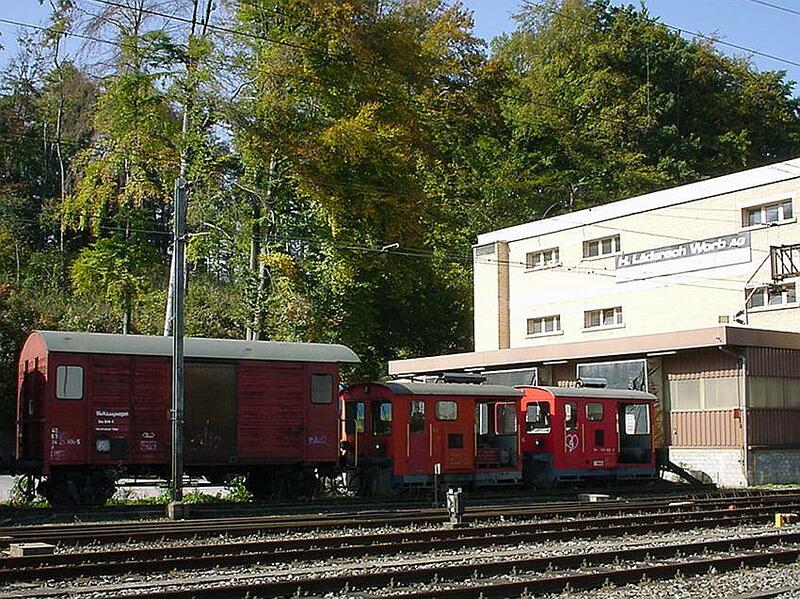 For example, trains make full turns inside a mountain and pass one and the same lake three times at different elevations while climbing up the L�tschberg. Key services of the BLS group are: 1) they run the majority of the local commuter train services ("S-Bahn") of the Bern area, 2) they run a successful cars-on-train ("Rollende Landstrasse") service every 15-30 minutes through the mountain between Goppenstein and Kandersteg (and during the summer from Domodossola to Kandersteg) and 3) they run a big and lively cargo business in co-operation with the German DB Cargo from Germany to Italy. 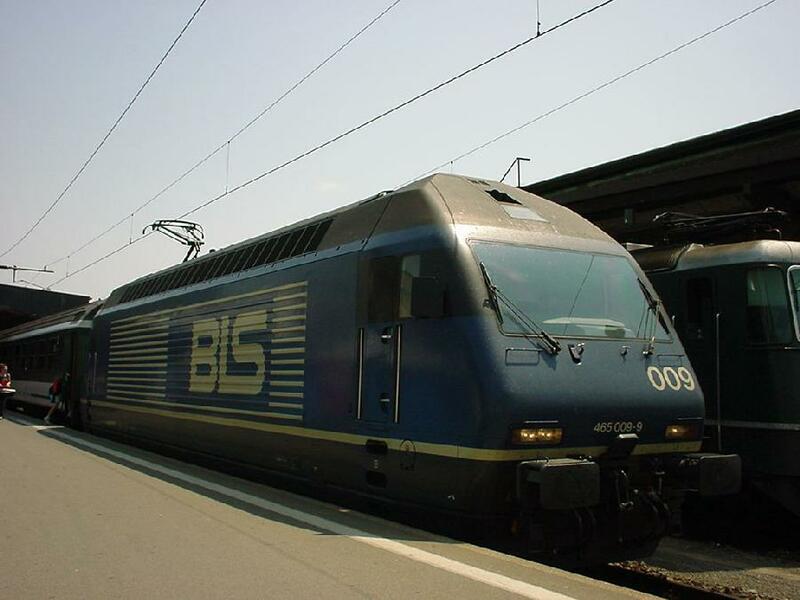 Although the state SBB is a part owner and has placed many of its own new locomotives in the BLS blue house colours and rolling the BLS services, BLS and SBB have also been bitter rivals for years. 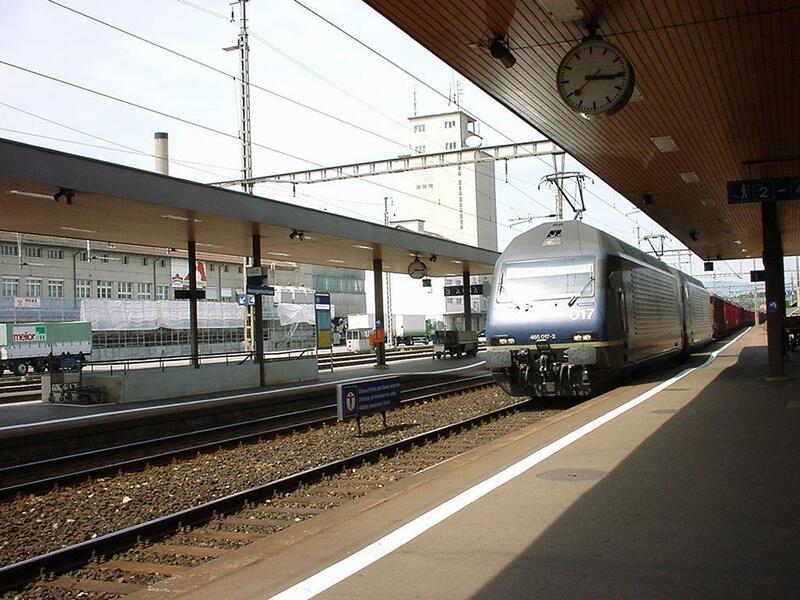 Now in 2001-02 it looks like the dispute, where the bigger SBB always tried to swallow the smaller but private BLS has silenced at least to a temporary truce: lately there was an announcement that BLS L�tschbergbahn will stop operating express trains and express train coaches (e.g. between Basel and Brig or Italy) and will hand all their long distance coaches over to SBB and SBB on the other hand will retract from the Bern area S-Bahn traffic and hand over that business to BLS as a monopoly. 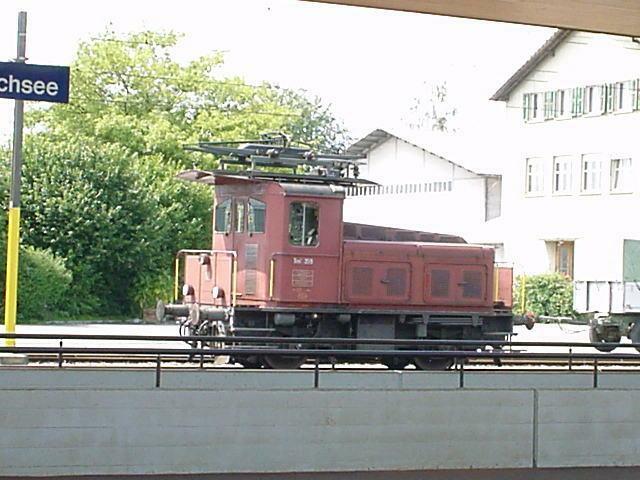 This ABDe 4/8 number 751 of the BLS L�tschbergbahn is the first one built in 1964, in the third series of similar trains. 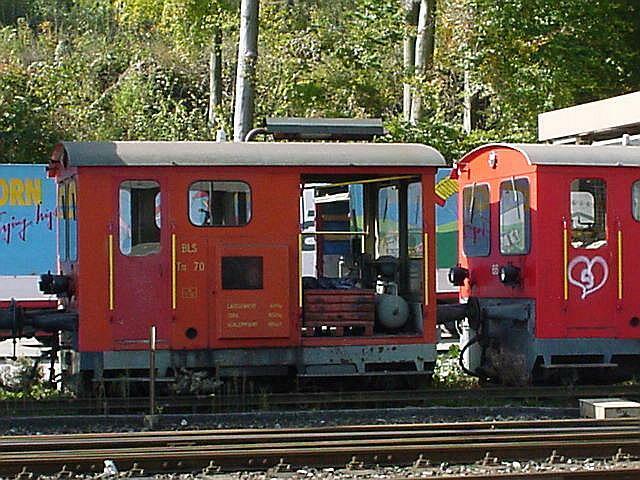 The first series was built in 1945 (see the pictures from �nsingen-Balsthal-Bahn OeBB ABDe 4/8), the second in 1954 to -57. Ten years later BLS ordered a further four of almost exactly similar short distance commuter trains. 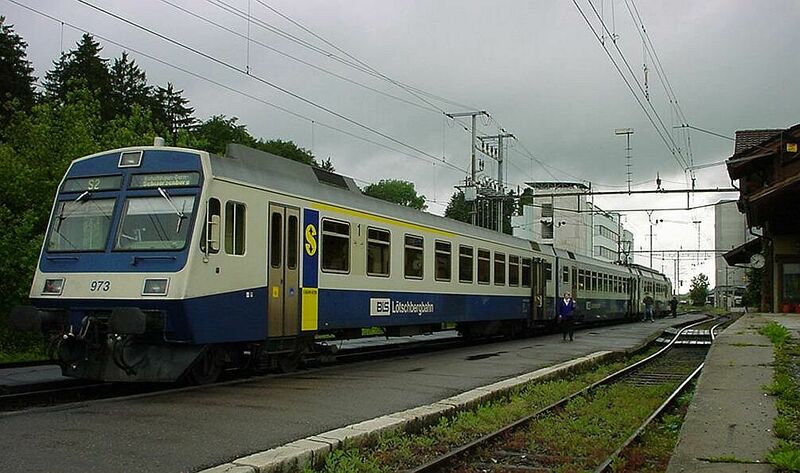 The trains were designed for S-Bahn local commuter traffic around the capital, Bern. 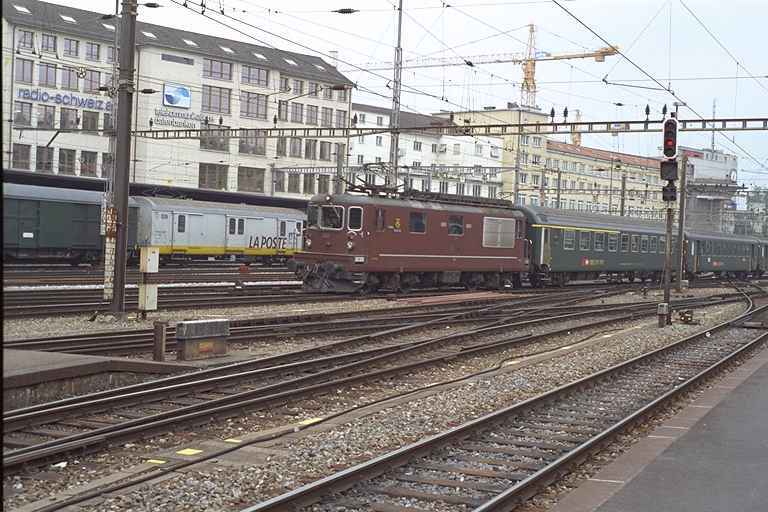 This third series from the sixties differs from the earlier ones by a "newer" front design which resembles the Re 4/4 locomotives of BLS of that time (see bls-re425-179.jpg). 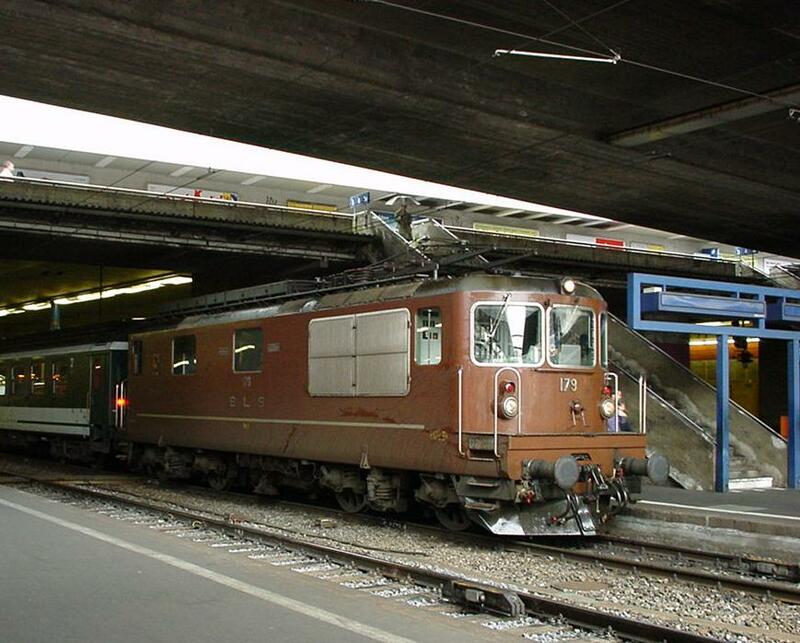 The electrical parts of these trains were modernised in 1977, which allowed for a higher maximum speed of 125 km/h.